Duart Mull truly is a different kind of capital partner. 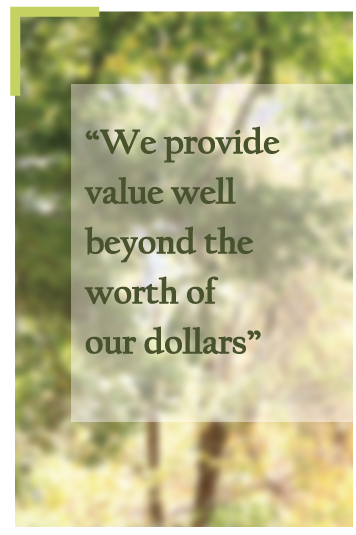 As such, we seek to only place active investments where we know we can provide value beyond just the worth of our dollars. We’re not just investors, we are partners in the business. We build successful legacies out of growing small to mid-sized businesses – legacies that handsomely reward our partners. While we have the capital needed to fuel change, capital alone isn’t enough. We also have access to the connections and added expertise to help our companies grow quickly and succeed. Our team has the proven track record of successful business and financial management, with an entrepreneurial drive that makes it easy for us to understand and relate to growing and mid-sized company leadership. We believe in “straight to the top” access without obstacles or hoops to jump through; our business is intensely personal. We know how growing businesses and entrepreneurs work because our leadership consists of successful entrepreneurs who have personally grown businesses themselves. In addition to capital, we provide access to networks, expertise, and strategies that help our founder partners drive top-line revenue, improve operations excellence and customer service, enhance systems and financial control, optimize capital structure, reduce costs, and drive enterprise value.